Wow, I wonder how this ad would fly today? Well, there's nothing like a little bald faced chauvinism to make you feel like a man. Sorry ladies. 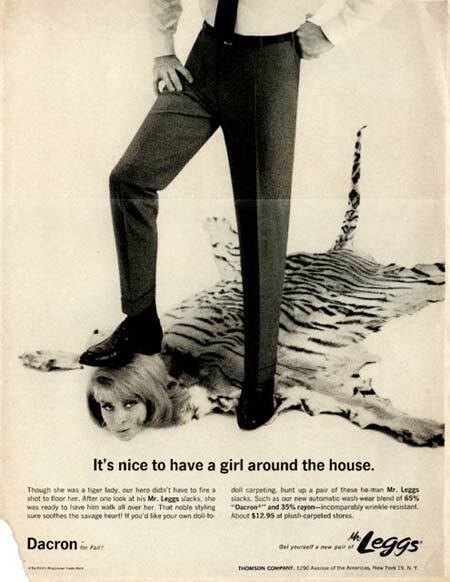 Just be glad we don't make you into rugs anymore.